All aboard for alphabet adventures! 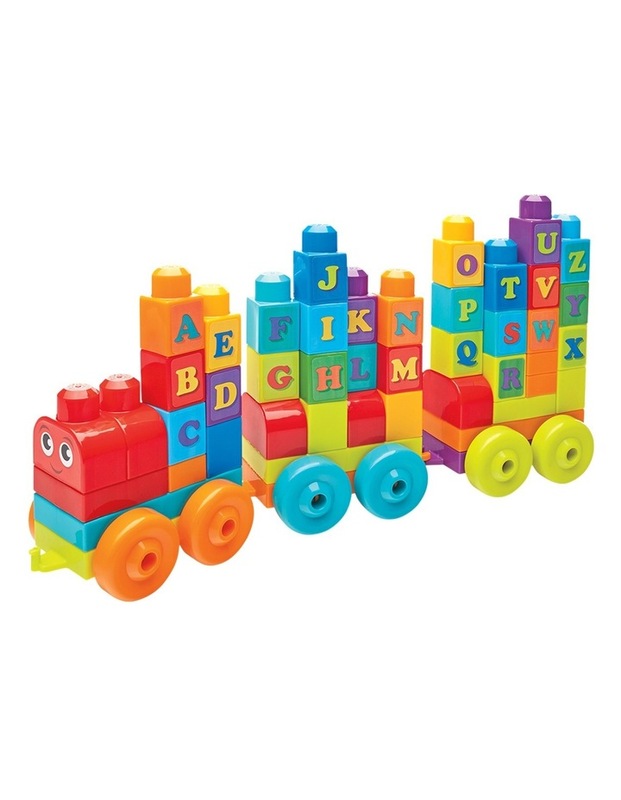 Your little one will be on the fast track to learning their ABCs with a friendly, buildable train featuring building blocks decorated with the letters A through Z! 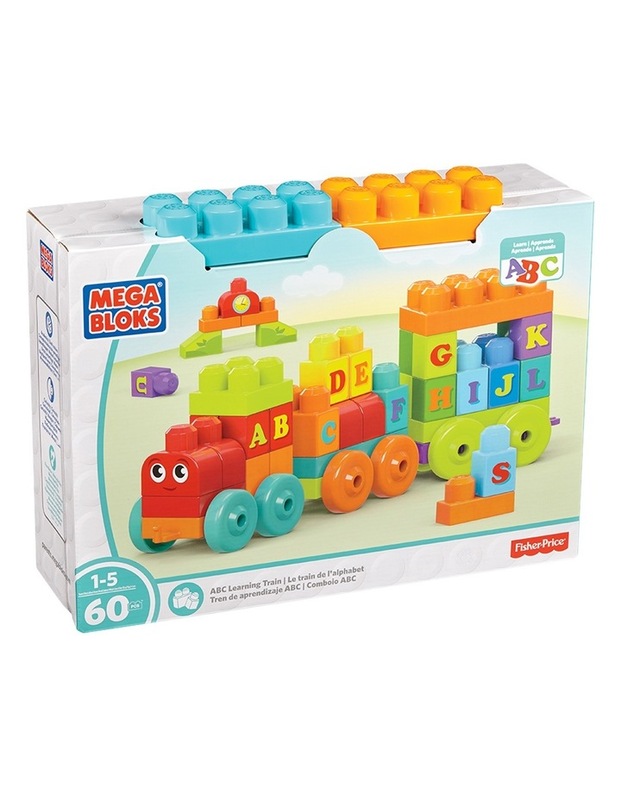 Connect the three rolling wheelbases together to make your train, then stack the letter blocks on top to build the alphabet or even make whole words, learning your letters as you chug along. Or use the blocks and special shapes to build a station as the next stop on your alphabet adventure!